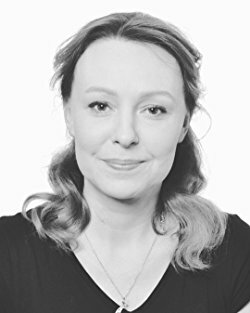 We are really happy to announce we have a new author joining the Pict family today. June Moonbridge officially becomes a Pict author and valued community member as of this morning, and now you can find her info and books across our website, pages and blog. 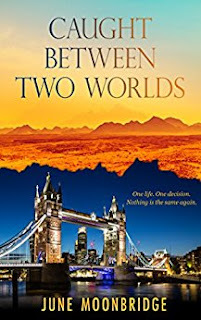 Author of Caught Between Two Worlds and All That The Heart Desires. June was born in June and she always loved the moon. She comes from Slovenia, a country which got its independence almost three decades ago. She studied economics, and quickly realised she hated it. Afterwards, she found herself working in a mainly male-dominated businesses; at first in automotive and later steel products. She can choose the best steel for your project, but don't, please don't, ask her which lipstick brand you should use. She started to write in high school and was criticised by her teacher. Stubborn as she is, that didn't stop her. Under different pen names, she had stories published in magazines, and then went on to publish three books. All that the heart desires. Changing everything in her life - her identity, her hometown and her country of residence, Desire is determined that nothing will prevent her achieving from finding her missing son. Not even love. But nothing goes according to plan. Her identity is revealed by the press, Lorcan has a terrifying accident, and the trail to her son finishes in another dead end. So Desire does what she does best - she runs away. 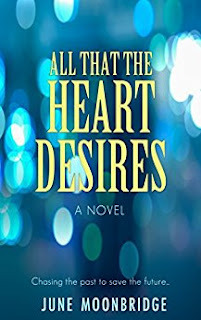 Set against the glamorous backdrops of Monaco, Paris and Nice, 'All That the Heart Desires' mixes romance and mystery as Desire struggles to come to terms with her past. Will she allow herself to accept love into her life again?